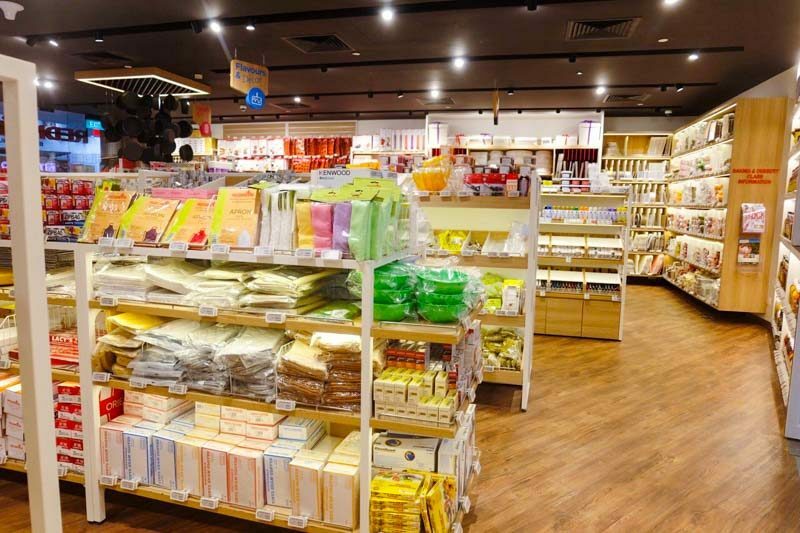 Talk about Phoon Huat, and people immediately envision a store brimming with baking supplies. Well, there’s now a new concept worth a visit. 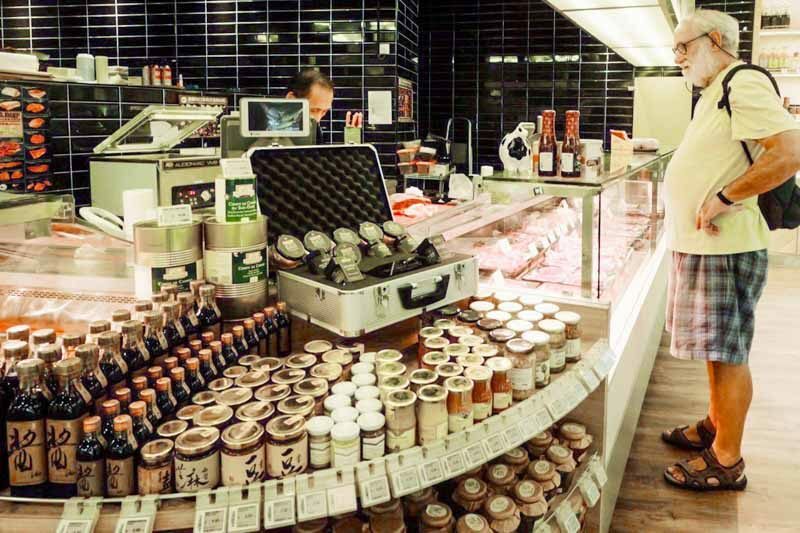 Phoon Huat Deli At Redman Store in Star Vista now sells Japanese dons, sashimi and many other yummy dishes. Phoon Huat Deli isn’t a restaurant, but a supermarket with a Japanese food section offering the freshest produce and takeaway dons at affordable prices. 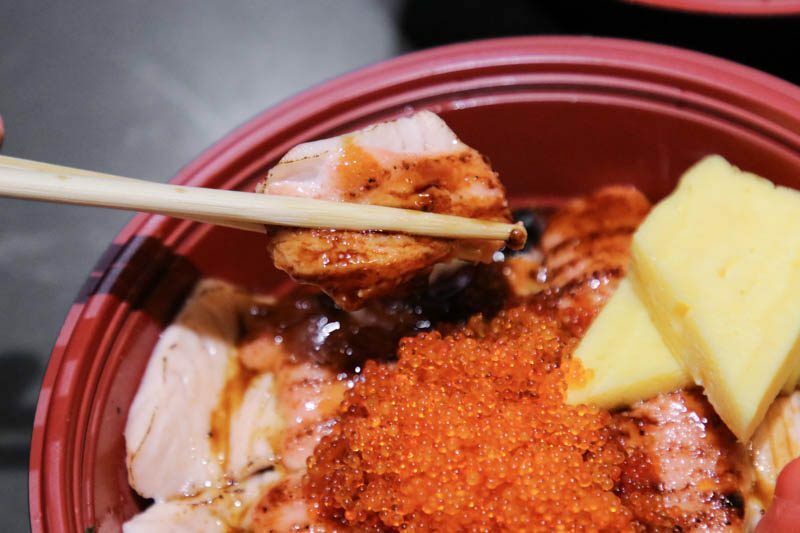 The owner of Phoon Huat Deli believes that good food need not be expensive, and we can see this philosophy in the affordable prices for the Japanese delicacies. 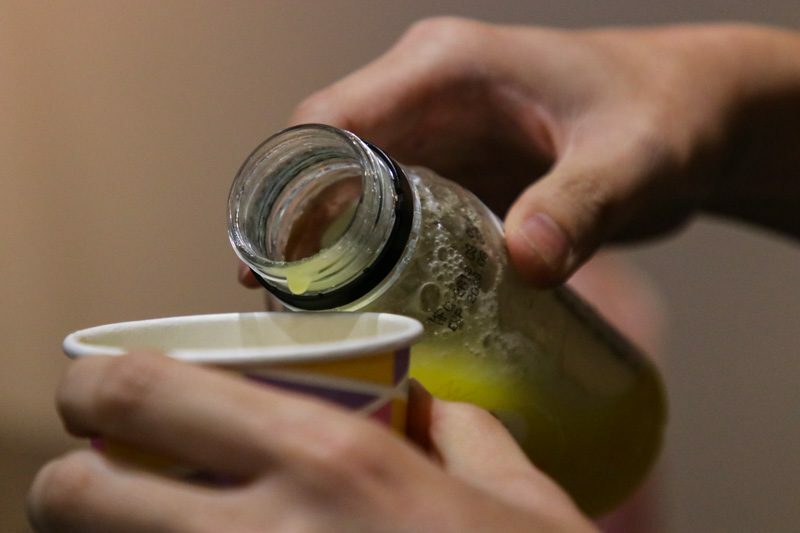 To start off, we quenched our thirst with their Natural Benefit Juice (S$3.80/Small, S$10.80/Large). 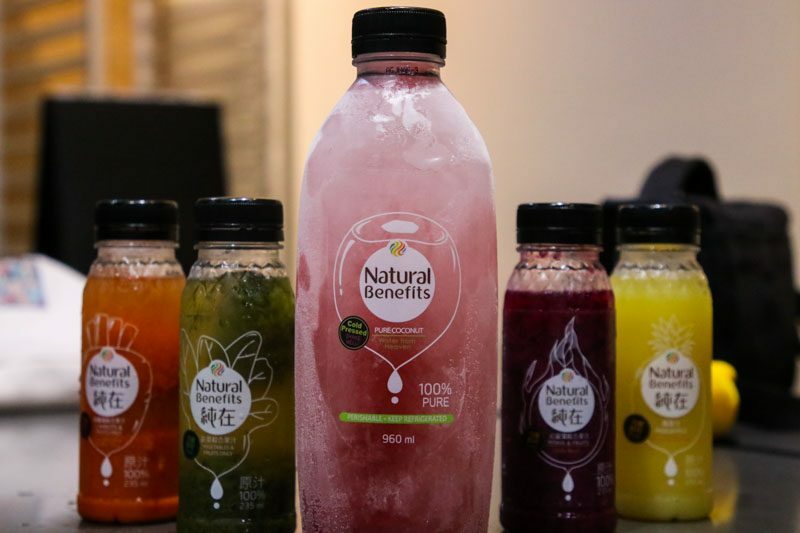 Freshly-pressed with no added preservatives, the juices are flown in directly from Taiwan in frozen form — how cool is that? These bottles of fruity goodness all tasted fantastic, but my favourite has got to be the Pineapple Natural Benefit Juice. The pineapple flavours were robust and filled my mouth, and the tangy taste whetted my appetite. I could seriously drink this all day long! 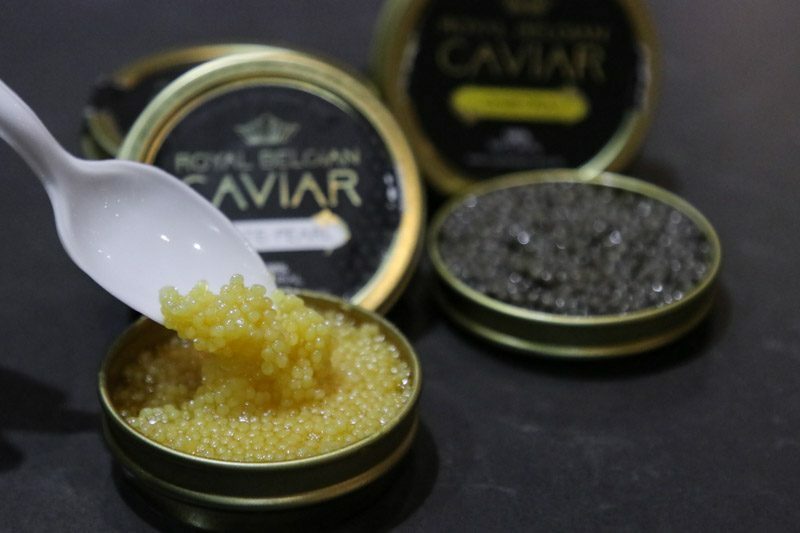 One of Phoon Huat Deli’s specialities is definitely their Royal Belgian Caviar (S$101/Osietra, S$130/White Pearl). If you think these are expensive, you will be shocked to know that their retail prices elsewhere are even steeper. Phoon Huat imports these directly from Belgium to keep their prices competitive. 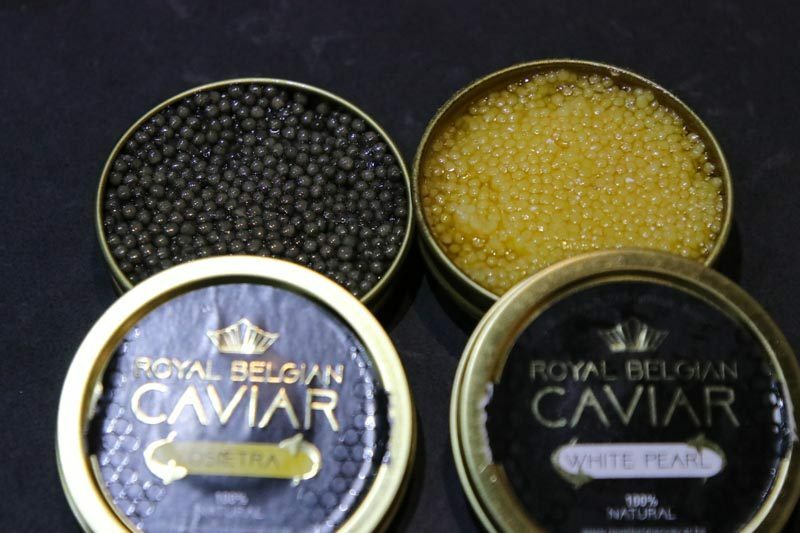 Yellow in hue, the White Pearl Caviar comes from a nine or 10 years old sturgeon. The smooth texture and salty brininess is a testament to its freshness, and it tasted like ocean water to me. On the other hand, the black Osietra Caviar has an even more impressive history. It is extracted from a sturgeon that is at least 18 years old. I would say it’s an acquired taste, with silky smooth texture and punctuations of creaminess that resembled oysters. Regardless, both make great sides to go along with some plain crackers. As lovely as the caviar was, the dons stole the limelight. 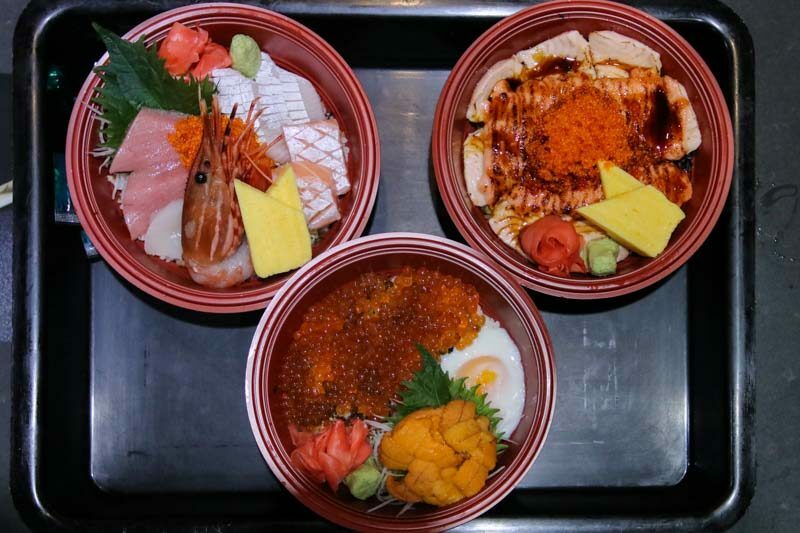 The round maroon bowls were full of glorious Japanese delicacies and gracefully garnished with colourful ingredients. It all looked so good that we didn’t know which one to start with. Ultimately, I went with the Negishake Mentai Don (S$9.88) as its fragrance was simply enticing. I was blown away by its price. S$9.88? I could barely get a mentaiko don elsewhere without parting with at least S$15. 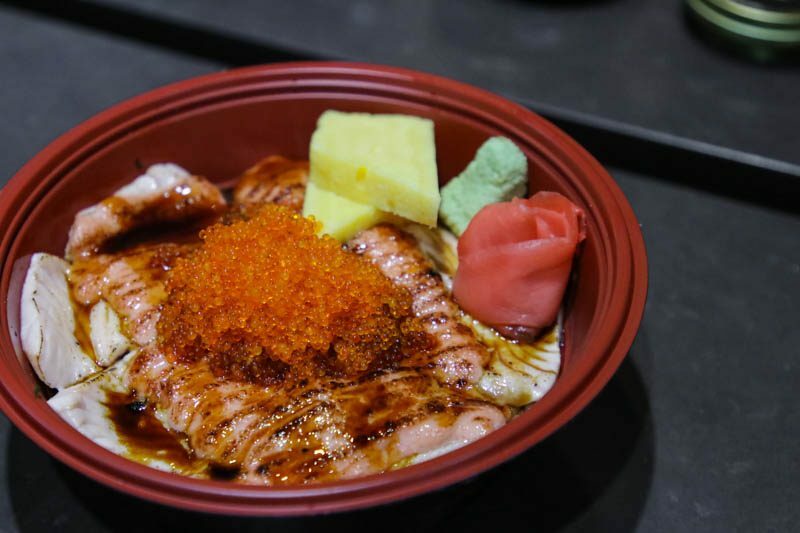 The salmon mentaiko hit the right spot with a slight char, and the fresh tobiko added pops of briny flavour too. The fluffy egg rolls helped to break the monotony in texture and gave some sweetness to the dish. I would have loved for the salmon slices to be slightly thicker. Due to its thinness, the flaky pieces fell apart easily. Despite this minor gripe, I really enjoyed this Negishake Mentai Don. The next dish we demolished was the Premium Chirashi Don (S$22.88). 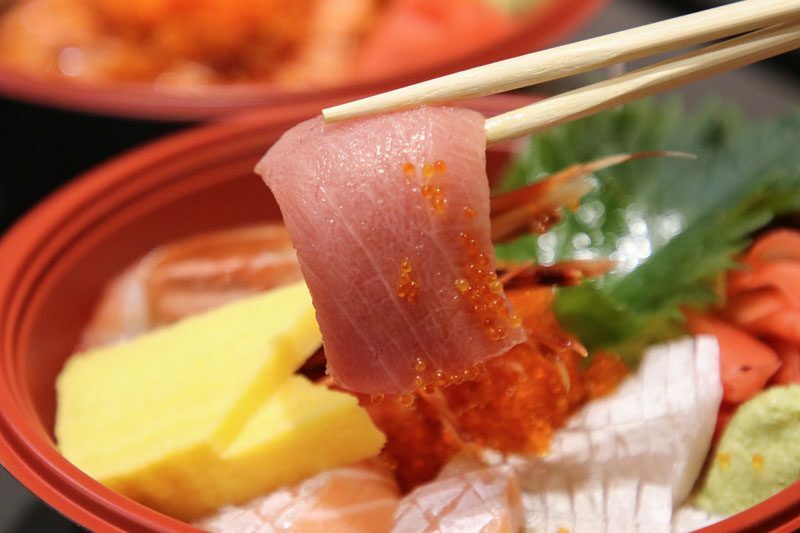 It boasts a bounty of salmon, Japanese scallops, amberjack, prawns and bluefin tuna. Each item was so fresh that it was almost as if they were reeled from the ocean and served on the spot. It was simply a masterpiece and I adored how the fish slices were satisfyingly thick. If you are looking for a seafood feast, this is the real deal. 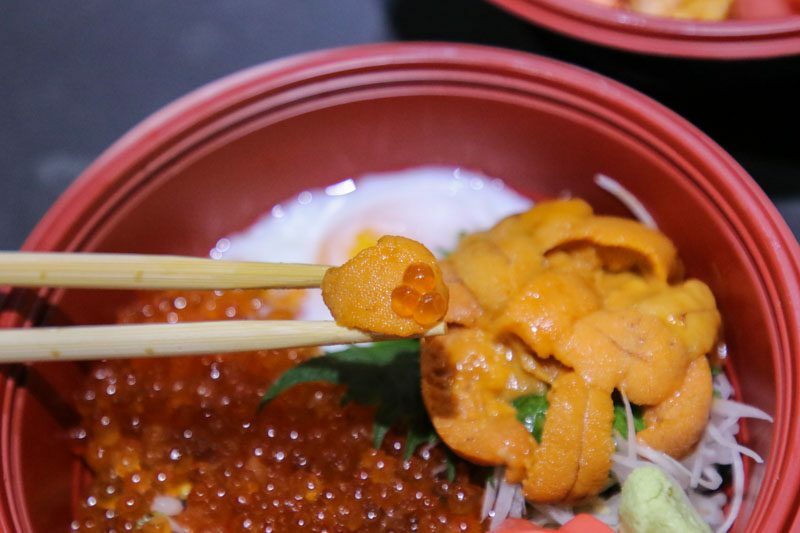 Finally, we have the Uni Don (S$28.80), with a generous serving of ikura glistening under the light —such a beautiful sight! As expected, the uni was superbly fresh. Deliciously rich and creamy, it carried hints of mild bitterness in the aftertaste. 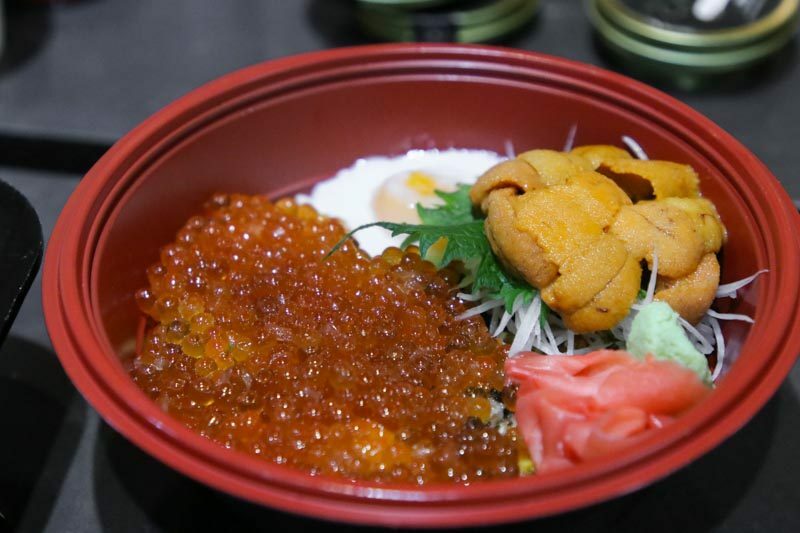 The harmonious combination of ikura, rice and uni had me polishing off the bowl in no time. Oishii! I tend to be sceptical of franchises with new expansions because most of them are marketing gimmicks with lacklustre standards. However, Phoon Huat Deli has surpassed my expectations and proven me wrong. They really lived up to their motto of providing quality food at affordable prices. 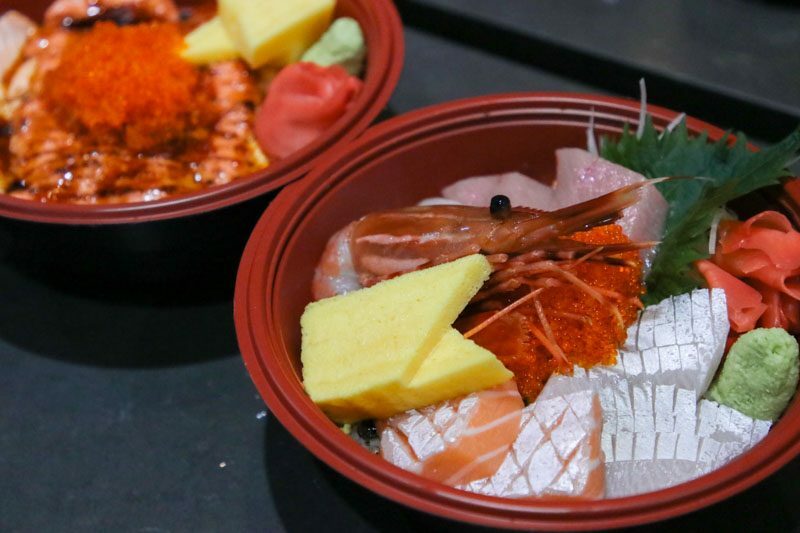 If you’re craving a Japanese gastronomical experience, hit up Phoon Huat Deli for your fix.